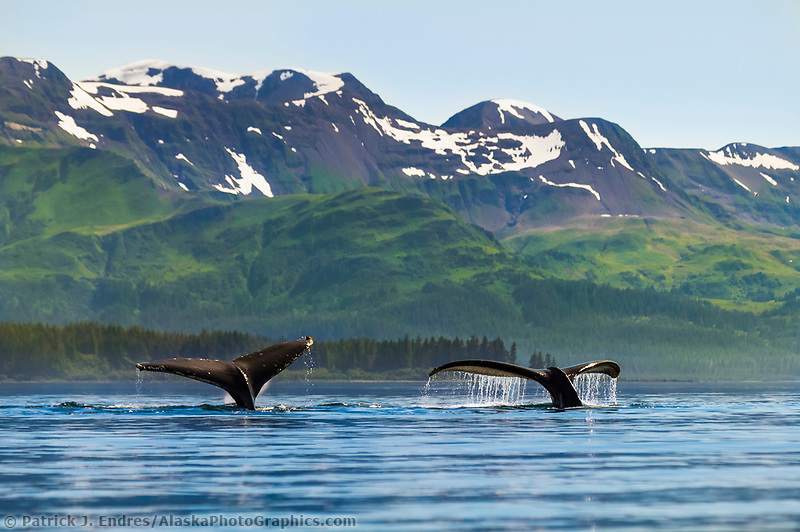 Alaska’s food-rich waters support 8 species of whales. Some live in the waters year round, and some migrate here in the summer to feed. 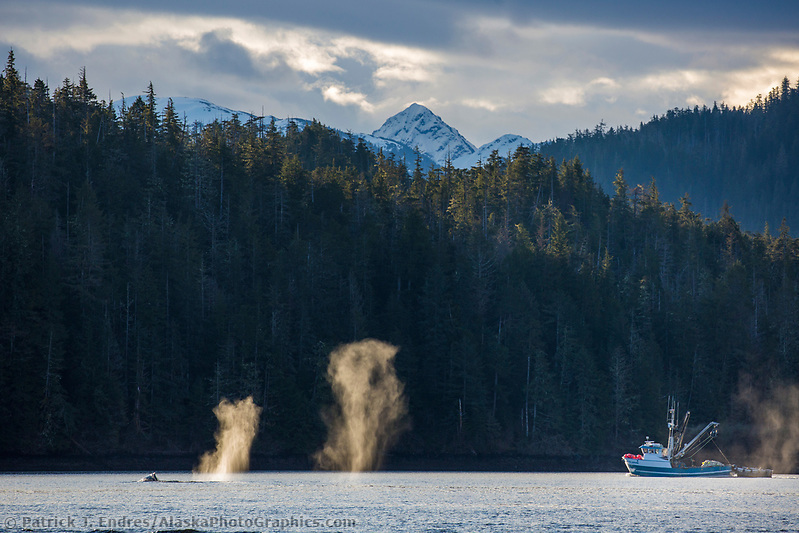 All of the Alaska whale photos on this site are available as stock photos for commercial licensing or as fine art display pictures for home and office decor. The killer whale is technically not a whale, but rather the largest member of the oceanic dolphin family. 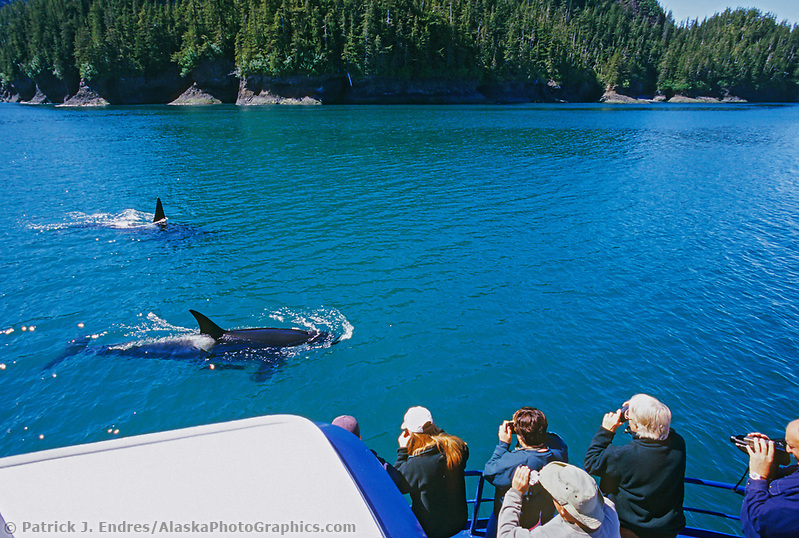 In Alaska, there are two types of orcas: Residents and Transients. They are differentiated primarily by their diet and some behavioral variations. The terms “resident” and “transient” do not imply that one stays around and one leaves. 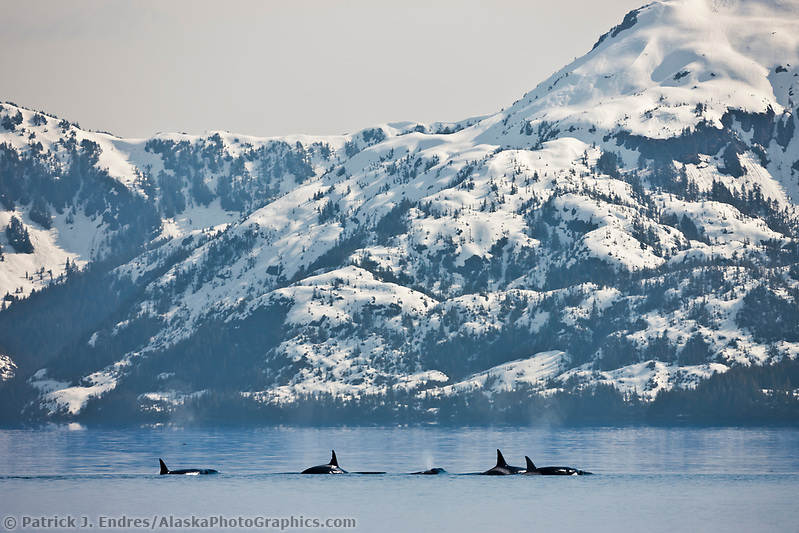 The Residents feed predominantly on fish and the transient orcas hunt primarily marine mammals. Groups called pods form lifelong bonds and frequent the same areas. 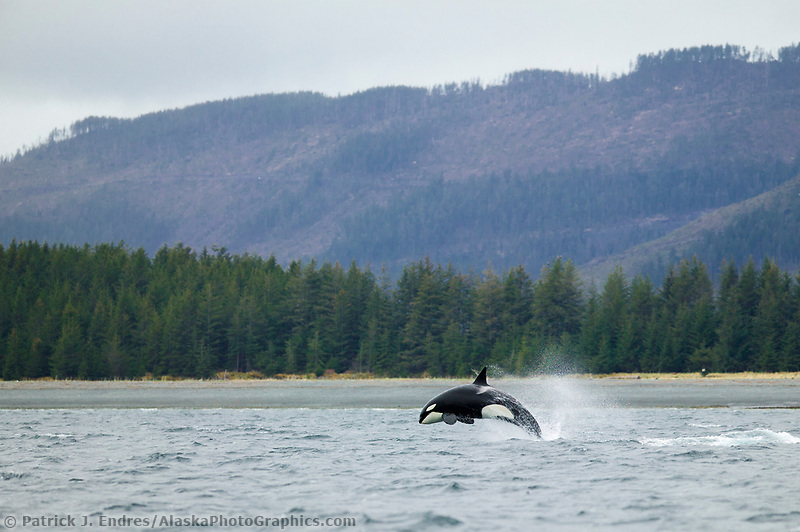 For further reading see The Killer Whales of Prince William Sound by Craig Matkin. Humpback whales are large baleen whales averaging 40-50 feet in length and weighing up to 79,000 pounds. Their unique shape and acrobatic tendencies make them easy to spot, particularly when they breach out of the water. 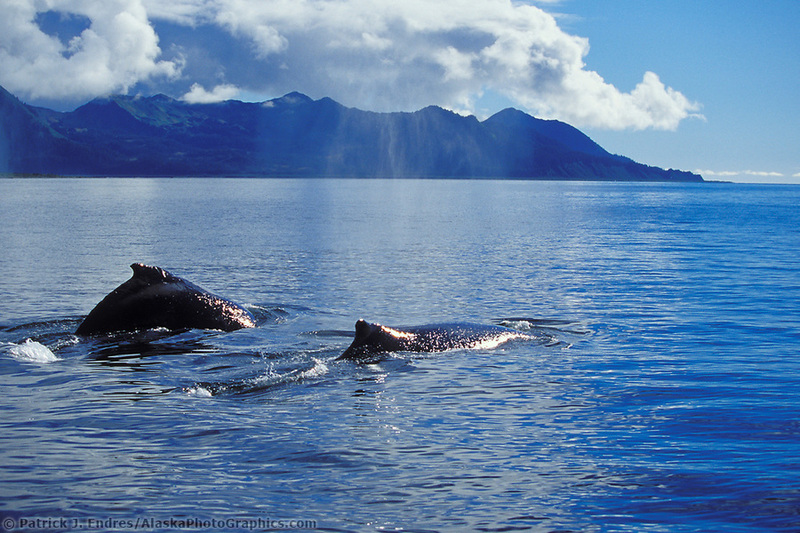 Humpbacks come to Alaska to feed on the abundant krill that thrive in the cool northern waters. In the winter the whales migrate, sometimes 15,000 miles or more to warmer waters where they breed and give birth. They live off their fat reserves in the winter. Because of this, they feed aggressively in the summer with a variety of methods, including bubble net feeding, lunging, and stunning fish by slapping the water. 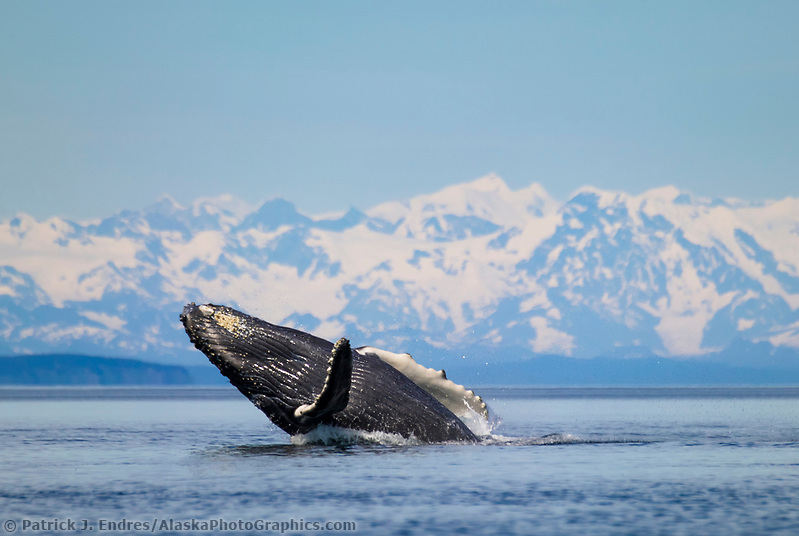 Humpback whales are commonly seen in the Southeast and Southcentral regions of Alaska. 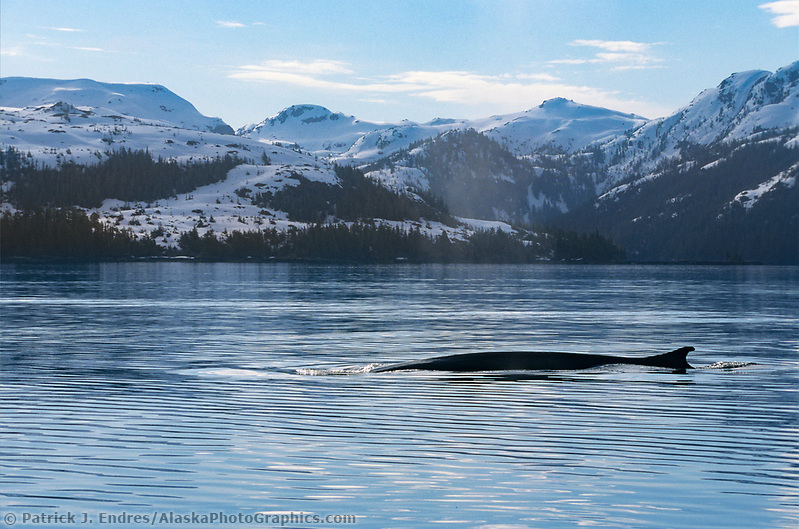 The Fin Whale is long and slender, the second largest whale after the blue whale. It is found worldwide in all oceans except at the poles near icepack. The fin whale eats small fish, squid, and crustaceans, by swimming with its mouth open, then closing it to filter out the water through its baleen. Mating occurs every two-three years during the winter in temperate waters, and while one calf is common, as many as six have been reported. The Bowhead whale thrives in Arctic waters where it survives with a very thick layer of fat (2 feet) insulating it from the chilling waters. They feed on plankton and migrate seasonally, based on the icepack. 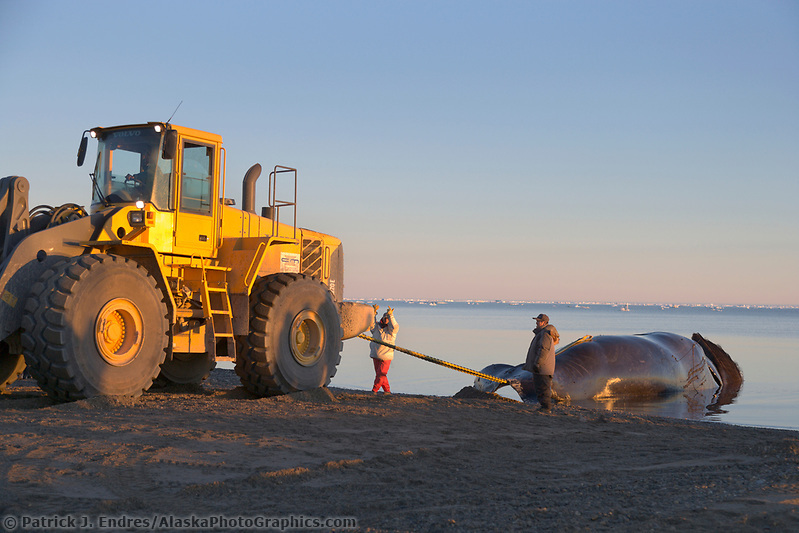 The Inupiat of Arctic Alaska have long hunted the whale, and it remains a vital part of their culture and food source. 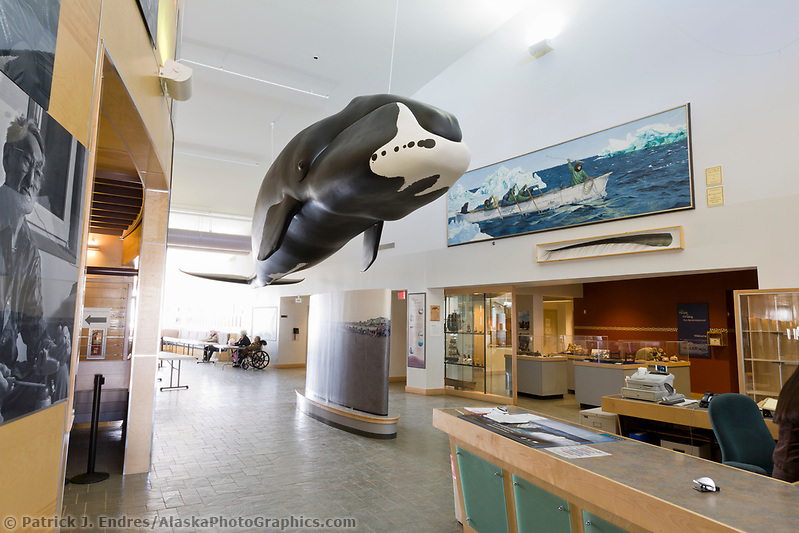 The Inupiat Heritage Center in Barrow, Alaska, tells the story of the Inupiat people, and their relationship to the Arctic landscape and Bowhead whale. It was designed to serve as an inspirational facility to promote and protect Iñupiaq culture, history, and language through exhibits, classes, performances, and educational activities.